 Home › Politics News › Why Exactly Is CCB Hiding Buhari's SGF, Chief Of Staff, Ministers Assets Declaration? Why Exactly Is CCB Hiding Buhari's SGF, Chief Of Staff, Ministers Assets Declaration? of some conspicuous Nigerians over seven days after The Punch sent a letter of demand to the agency. 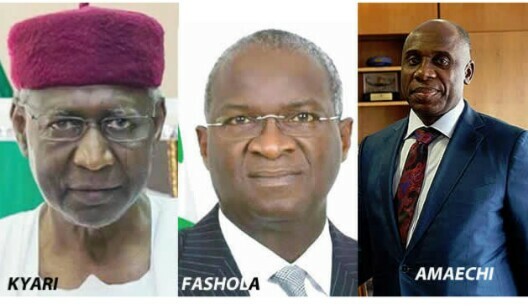 Chief of Staff to the President, Abba Kyari; Secretary to the Government of the Federation, Boss Mustapha; Minister of Labour, Dr Chris Ngige; Minister of Works, Housing and Power, Babatunde Fashola (SAN); Minister of Communication, Adebayo Shittu; and Minister of Transportation, Rotimi Amaechi. Other office holders The Punch sought for their declaration forms from the CCB were Minister of Information and Culture, Lai Mohammed; Minister of Agriculture, Audu Ogbeh; Minister of State for Transportation(Aviation), Hadi Sirika; Attorney-General of the Federation and Minister of Justice, Abubakar Malami; Director-General, DSS, Yusuf Bichi; and Finance Minister, Zainab Ahmed. In the letter signed by the Punch Head of Abuja Bureau, Olusola Fabiyi, the bureau was also asked to provide the list of defaulters. The letter read in part, “Beyond the listed political office holders’ asset declaration forms, kindly furnish us with the number and names of political office holders who have yet to fill and submit their asset declaration forms for whatever reasons. The newspaper also urged the CCB to furnish it with the names of political office holders, who had yet to comply with the bureau’s directive to visit it for verification. “Based on the provision of the FOI Act, we hope that our request will be granted within seven days of your receipt of this letter,” the letter also read. But despite a number of reminders during the seven-day period stipulated by the FoI Act, the CCB failed to respond to the letter. As of close of work on Friday, February 1, 2019, the CCB had yet to respond. The FoI letter, which was addressed to the chairman of the CCB, was received by the bureau with a copy acknowledged by the office of the chairman on January 24, 2019. The FoI Act provides that public institutions must make the information requested available within seven days of receiving the request. The Act also said failure to give access to the information requested for within the time limit provided by the Act is deemed as a refusal of access. Reacting to the development, popular lawyers, especially Senior Advocates of Nigeria, on Friday kicked against the CCB’s action, saying the agency had no legal basis not to respond to the letter even if the request would not be granted. They said the agency’s decision to keep mum had reinforced rumours and belief that the anti-corruption war was one-sided. A former president of the Nigerian Bar Association, Mr Olisa Agbakoba, SAN, said the information in the asset declaration forms of public officials should be released immediately upon request because they were in the public interest. He explained that the purpose of the asset declaration form was to enhance probity and public accountability and the information could not be deemed personal. He said the idea of the CCB releasing the information to an applicant and denying another applicant could not have been done in good faith. 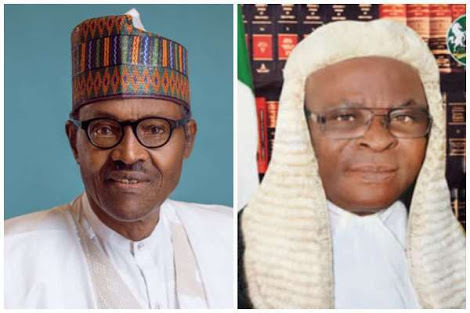 Recall that the suspended Chief Justice of Nigeria, Walter Onnoghen, was suspended based on a petition filed by a civil society group, Anti-Corruption and Research Based Data Initiative. Led by Mr Dennis Aghanya, the group accused the CJN of false asset declaration and other sundry allegations. Aghanya had said that the ARDI had written a petition against Onnoghen and commenced investigation against the senior judicial officer about a year ago. But there had been questions over how the organisation got access to Onnoghen’s asset declaration forms if they were not issued to him by the CCB. Agbakoba said, “Clearly, it shows that the CCB is not acting in good faith. If on one hand, it (CCB) would decline but on the other hand releases information in respect of a very senior government official, like the CJN, it has to justify why it is refusing the request. Clearly, it puts into doubt its intentions. Another Senior Advocate of Nigeria, Mr Babatunde Fashanu, said the CCB had no legal basis not to honour The Punch’s request. He said, “There is absolutely no legal basis for the CCB not to honour that request. “In the first place, the CCB and the CCT are performing an open public function and the people who are filling in their information in these forms are public officers. So, since everything is for the public, what would be their reason not to make it available? I think it should be tested because I see no reason why the CCB should not make the forms public. Also, a former vice-president of the NBA, Mr Monday Ubani, said it was worrisome the public could not have access to the information domiciled with the bureau despite the FoI Act, noting that the purpose of the asset declaration form was to ensure transparency and accountability in governance. Another SAN, Chief Mike Ozekhome, said there was no legal basis for the CCB not to provide The Punch with the requested information. He said, “There is no legal basis. You can go to court. It reinforces what we have been saying that the anti-corruption fight is selective. “If the dossier of even just one, out of the more than 36 ministers close to Buhari, is exposed, the whole country will be shocked by the haemorrhage that members of the council of executive have subjected Nigerians to. “Corruption is deeper and more cancerous today than ever before, especially within the executive. One minister’s assets alone, if shown to Nigerians, will make Onnoghen’s $10,000 deposit in local domiciliary account look like child’s play.